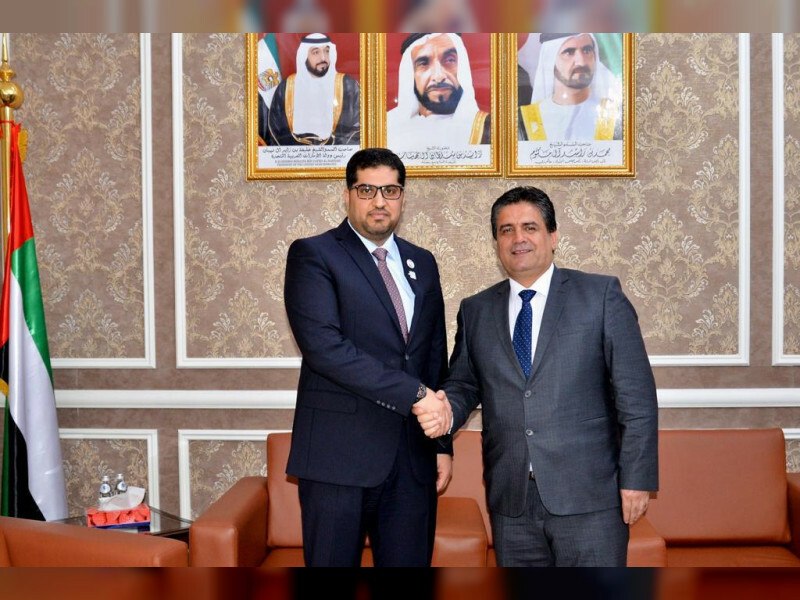 Nursultan, 15th April, 2019 (WAM) — The declaration to be issued by the Conference on Interaction and Confidence Building Measures in Asia (CICA) was the crux of a meeting the UAE Ambassador to Kazakhstan, Dr Mohamed Ahmed bin Sultan Al Jaber, had with Habibollo Mirzozoda, Executive Director of the Conference’s Secretariat, recently. Mirzozoda thanked the UAE for its significant contributions to the conference and underlined the importance of multilateral cooperation to ensure peace, security and stability in Asia. The two sides addressed issues relevant to the conference’s meeting which will group together a number of top officials on April 18-19. The Conference on Interaction and Confidence Building Measures in Asia (CICA) is a multi-national forum for enhancing cooperation towards promoting peace, security and stability in Asia. It is a forum based on the recognition that there is a close link between peace, security and stability in Asia and in the rest of the world. The Member States, while affirming their commitment to the UN Charter, believe that peace and security in Asia can be achieved through dialogue and cooperation leading to a common indivisible area of security in Asia where all states co-exist peacefully and their peoples live in peace, freedom and prosperity.